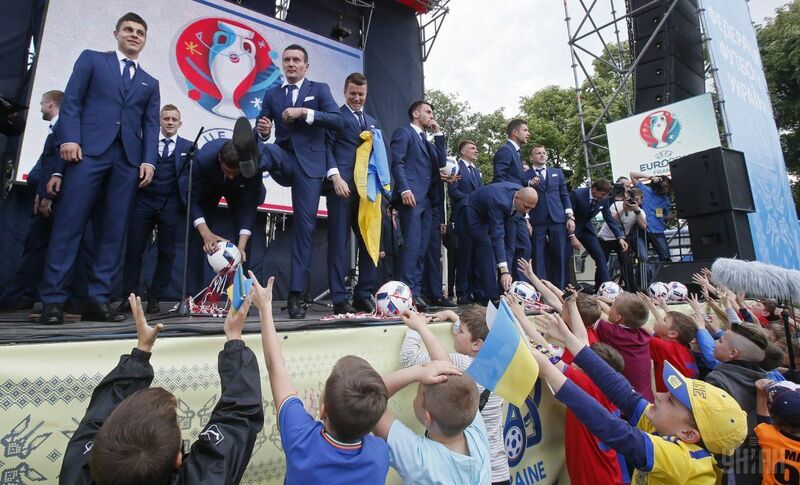 Hundreds of Ukrainian football fans came to see and cheer for the National Team Ukraine on the St.Michael's Square in Kyiv before their trip to France where the Euro-2016 Cup will be held, according to an UNIAN correspondent. 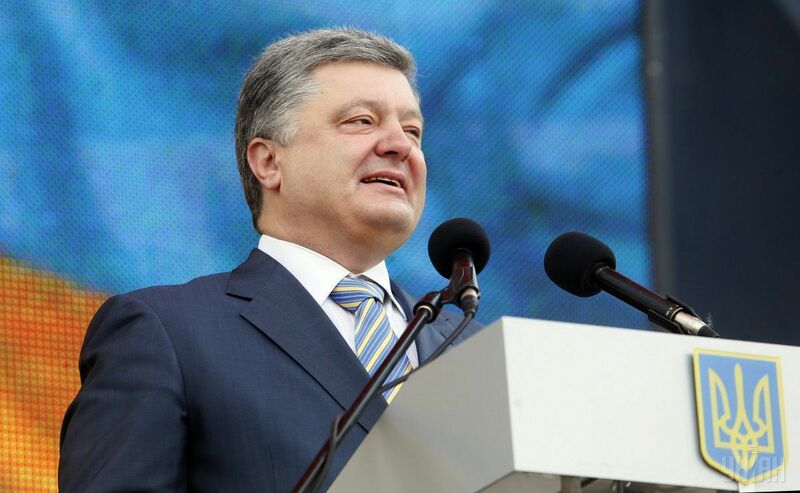 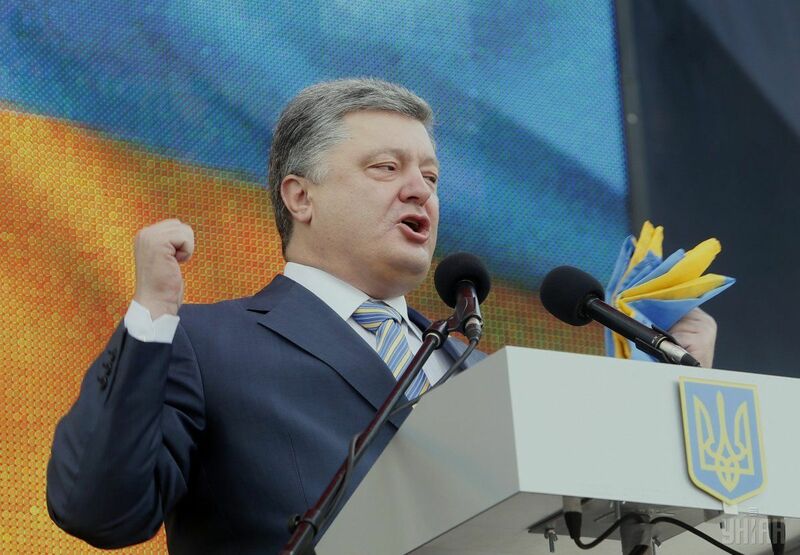 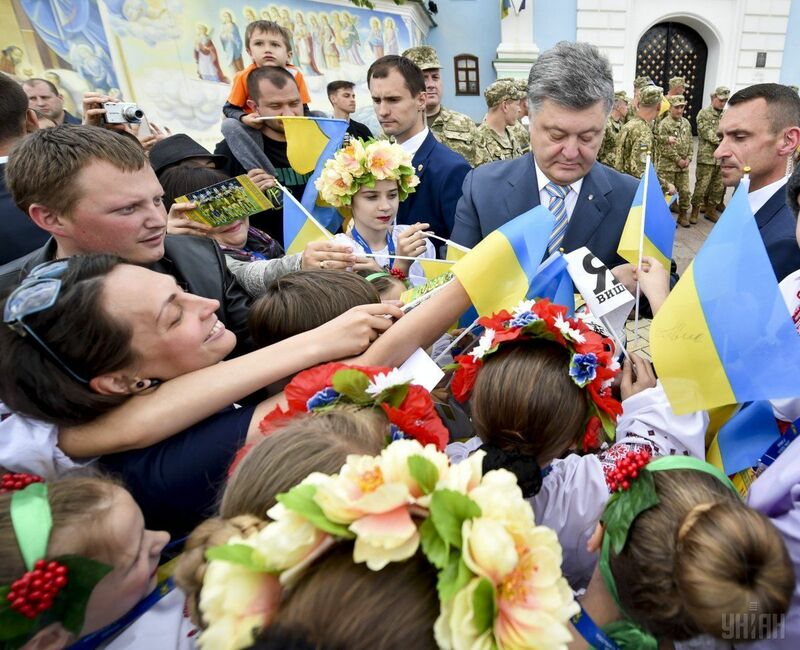 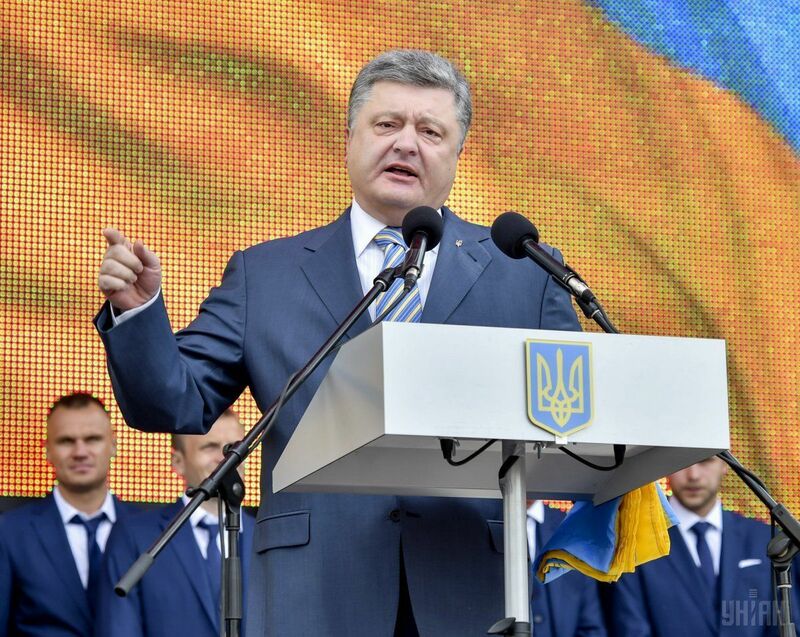 The official ceremony was also attended by Ukrainian president Petro Poroshenko, President of the Football Federation of Ukraine Andriy Pavelko, honorary president of the FFU and UEFA Vice President Hryhoriy Surkis and Ukraine's government leaders. 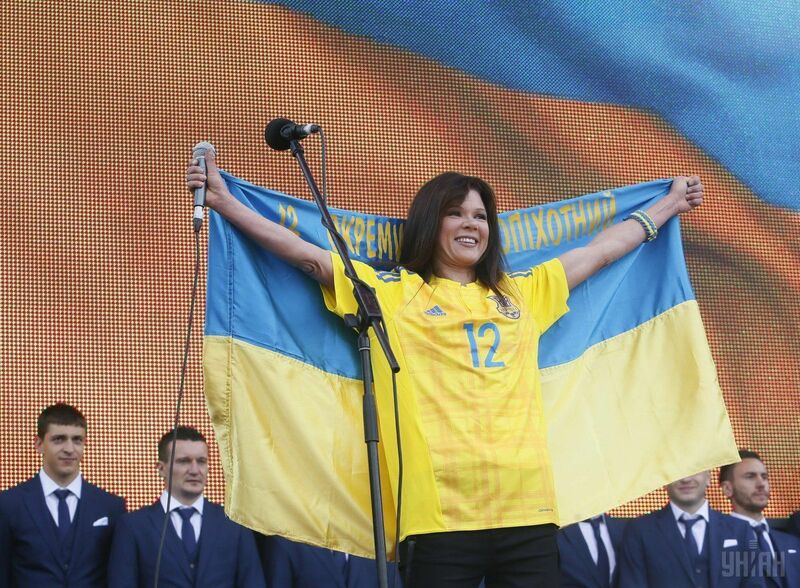 After the bus with the Ukrainian players arrived, the ceremony began with a performance of the National Anthem by a Ukrainian singer Ruslana. 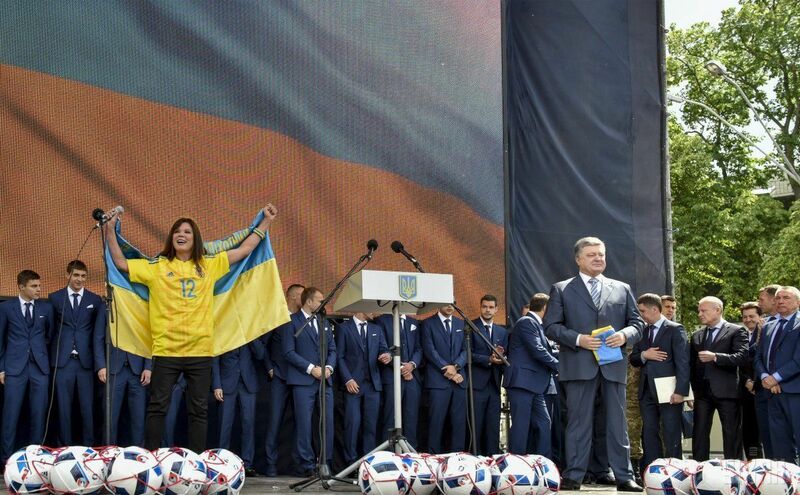 Ruslana later joined President Poroshenko to hand over to the players the invincible banners presented by the ATO troops and wished the players confidence, success and a worthy representation of the country in France at the celebration of European football. 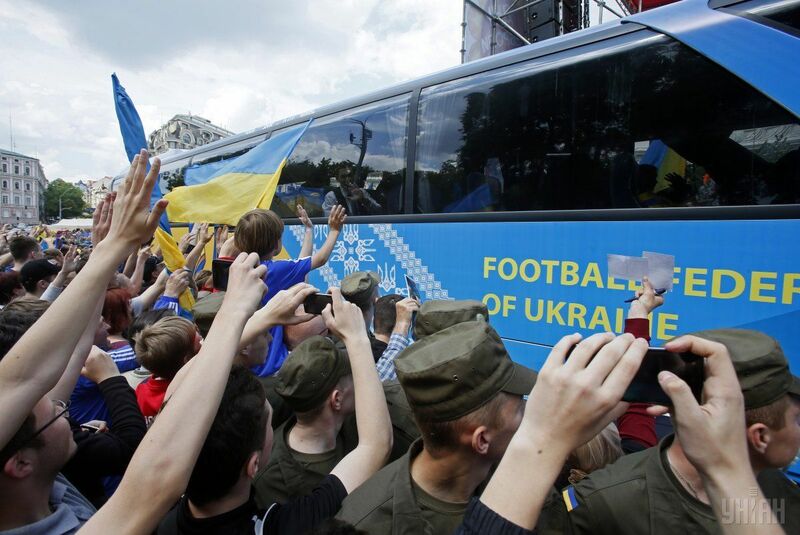 Artem Fedetskiy, one of the Ukrainian football players, thanked the fans for their support and the Ukrainian soldiers - for defending Ukraine. 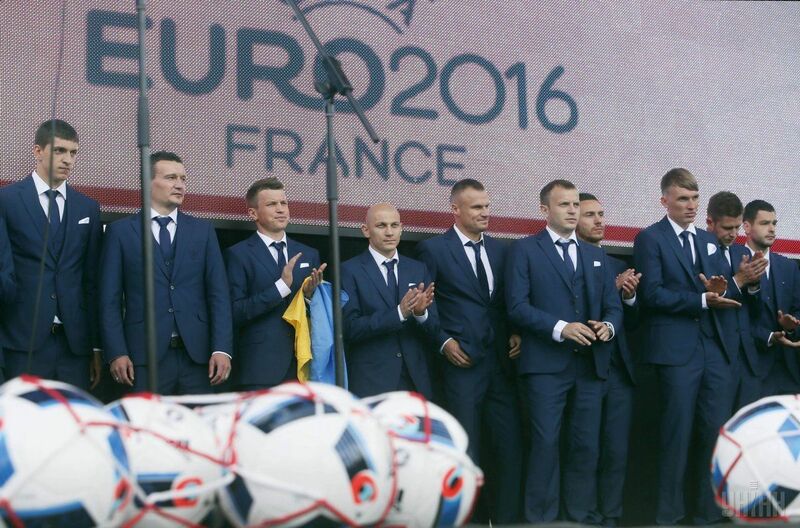 UEFA Vice President Surkis remembered in his speech the performance of the Ukrainian team at the 2006 World Cup. 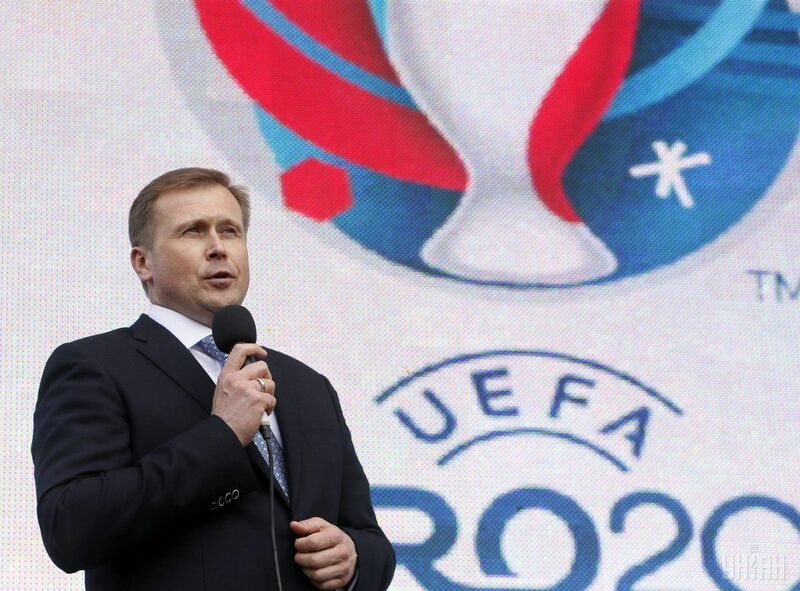 "I sincerely wish our Ukrainian squad, coaching staff and our fans to see the Ukrainian national team, which is able to win on emerald pitches in France," said Surkis. 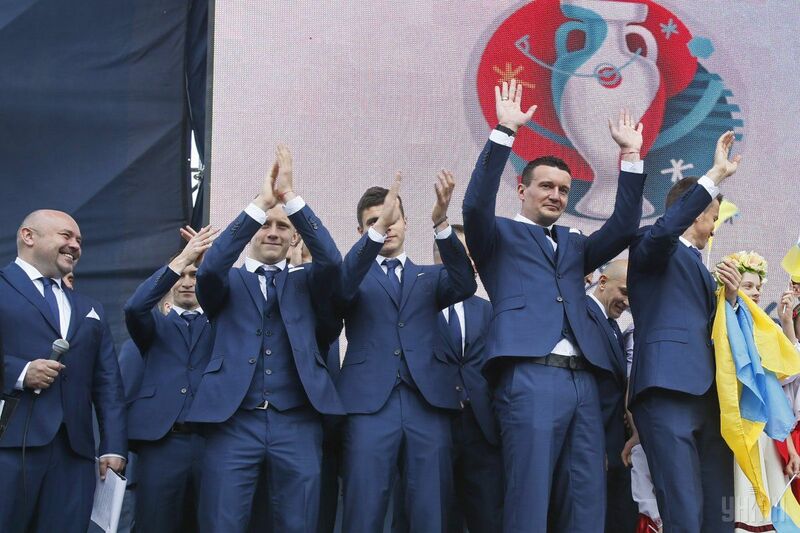 Euro 2016 will be held in France between June 10 and July 10. 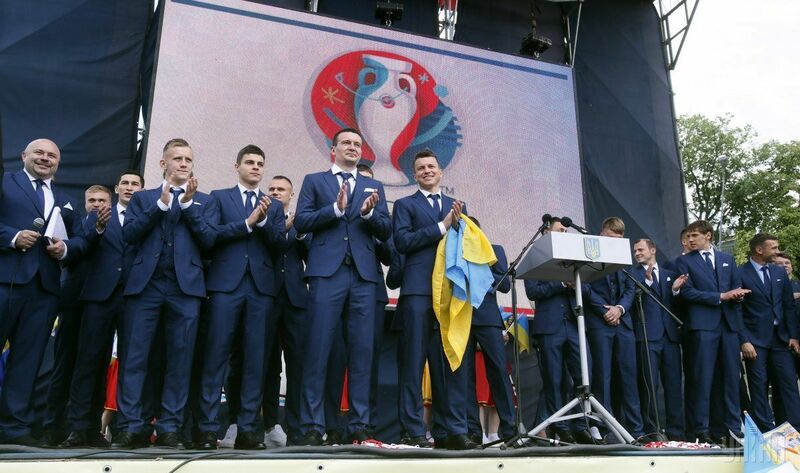 Read alsoEuropol slams Russian mafia operating in football sectorThe Ukrainian squad will play their first group stage game in Lille on June 12 against Germany. 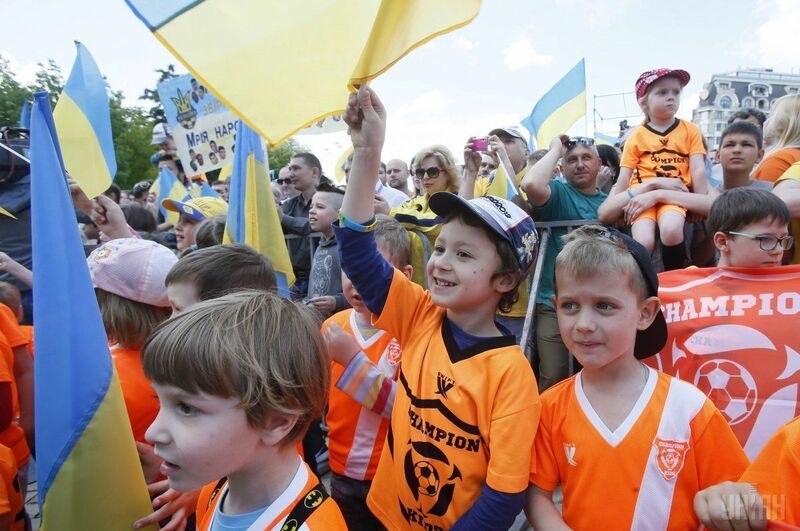 On June 16, they will play Northern Ireland in Lyon, and on June 21 Ukraine will meet Poland in Marseille.